I was asked to take part in a Leeds exhibition called City of Industry the theme of which was to respond to the idea of heritage. 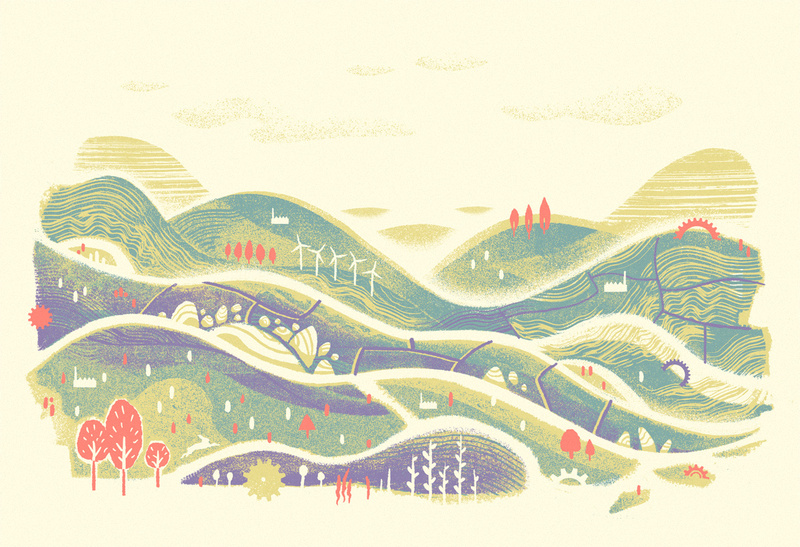 The Yorkshire landscape is something I have always had a real love for, so I knew this was what I wanted to depict. So here we see the rolling Yorkshire hills, flush with the purple of lavender, and with a few other recognisable elements dotted about. It’s semi-abstract, as I wanted to convey the idea of how the our industrial heritage forms part of the landscape. 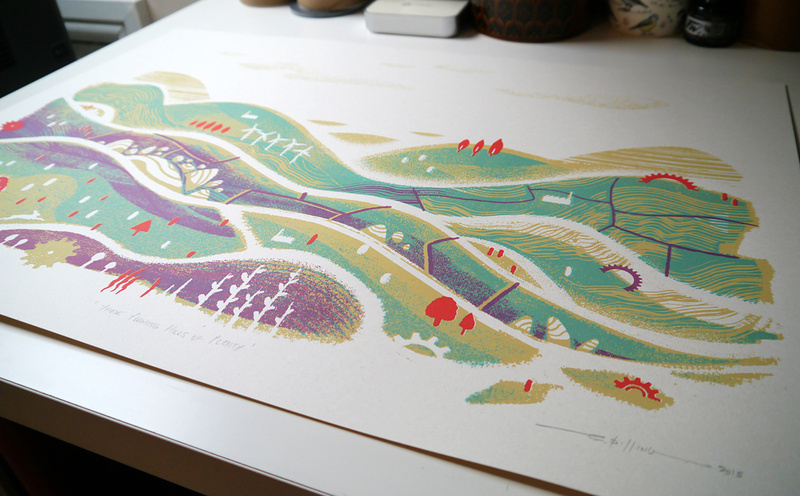 I hand-printed this as a 4 colour screenprint, A2 in size, and I have a few left available to purchase on my shop here.